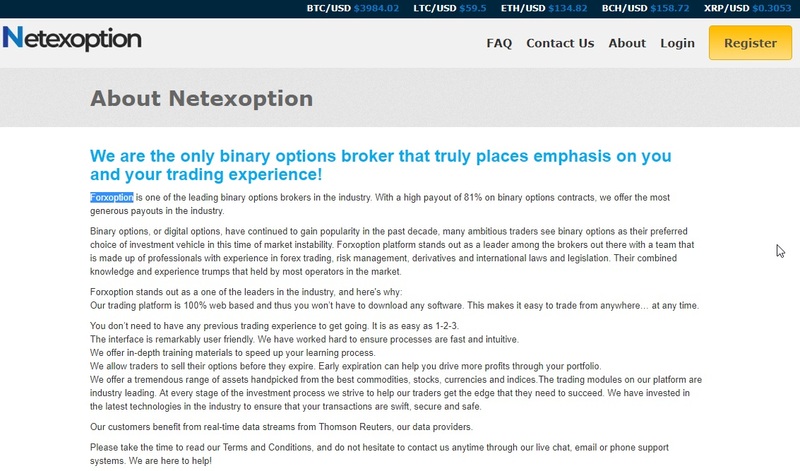 In this review we reveal that the binary options broker Netexoption is a scam that you have to avoid. 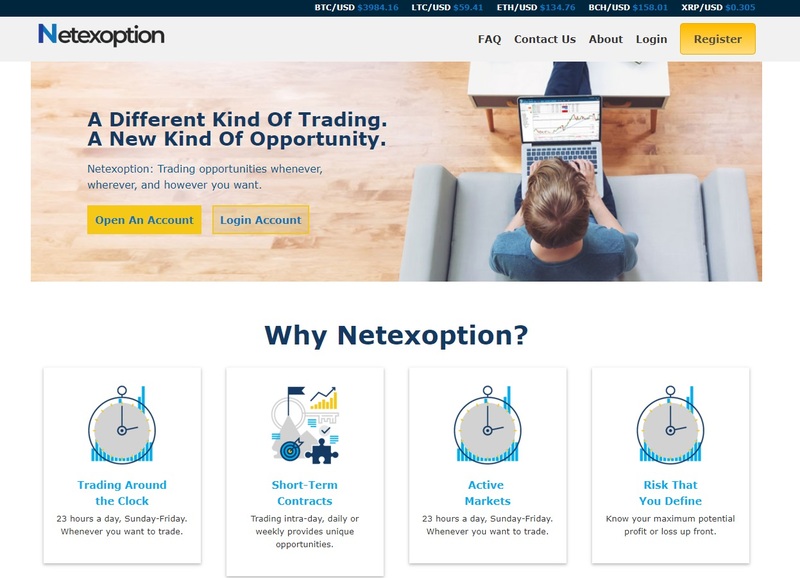 Netexoption offers binary options with returns up to 81% per winning trade. The minimum deposit is $250 and the minimum trade is $1. Netexoption claims to be regulated by the CFTC, which implies that it is located in the USA, however we did not find any contact information on the broker’s website. The first red flag is that Netexoption does not provide any contact information, no address, no phone number. This broker is simply anonymous, which always is a very bad sign. But what makes Netexoption an obvious scam, is the lie about regulation. Because Netexoption is not regulated, certainly not by the CFTC. We checked it, see our picture for a proof. So, the broker is lying about its license and it is hiding its address. What does it mean? Netexoption is a scam, there is no other possibility. We found another red flag when we were reading the About Us section on Netexoption’s website. Because the text mentions another scam broker Forxoption. It is obvious that Netexoption just copied the text from the other site and they simply forgot to change the name. They either stole the text or are in some way associated with the other broker. Either way it is a red flag and a confirmation of the fact that Netexoption is a scam. Don’t forget that with unregulated brokers your money is not insured and that nobody will be able to help you to recover your money in case of any problem. Netexoption is a scam broker, it is not regulated, you should stay away from it.